Love the color yellow but you’re not quite sure which plants are right for your space? 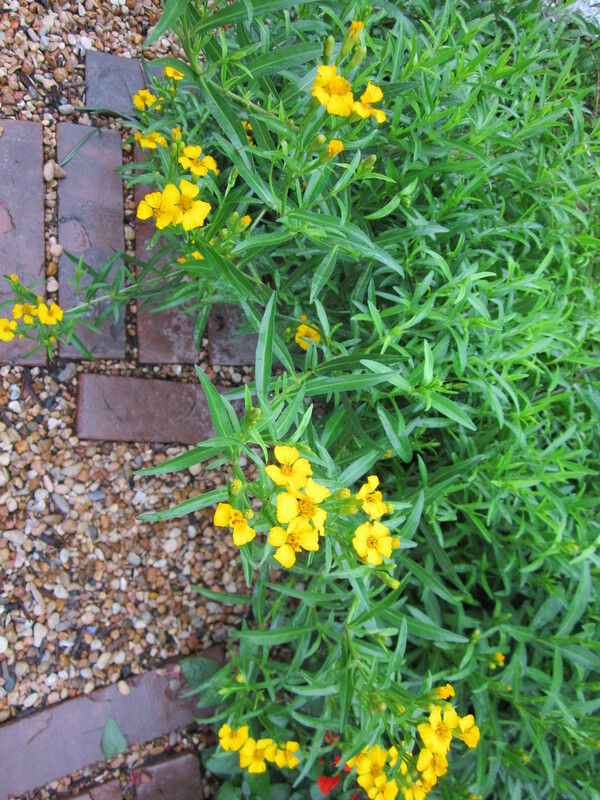 I am here to help, this is a short list (though it is quite long) of some of my favorite yellow Xeriscape plants for Central Texas. 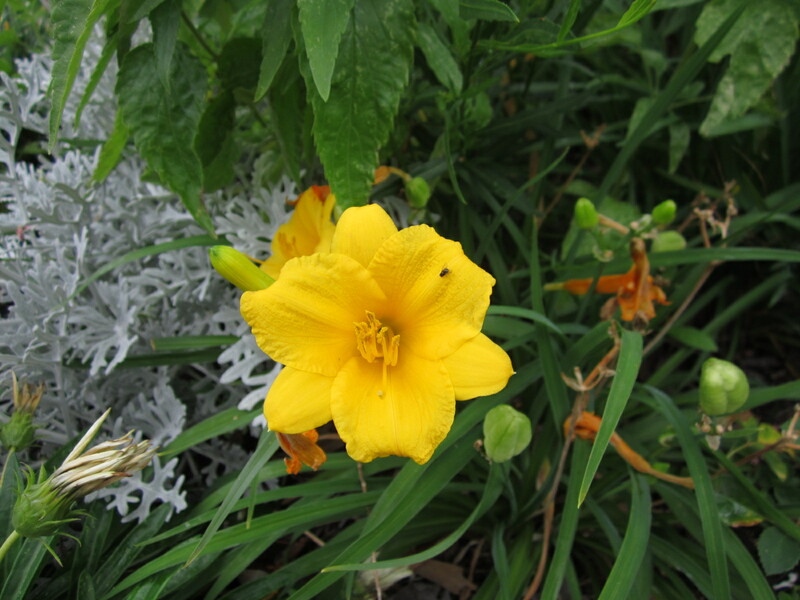 Daylily is a perennial bulb that goes dormant (sleepy time) at the first freeze and returns in late winter. It will bloom a couple of times over the summer and the bed of long green grass like leaves stay all year until winter. 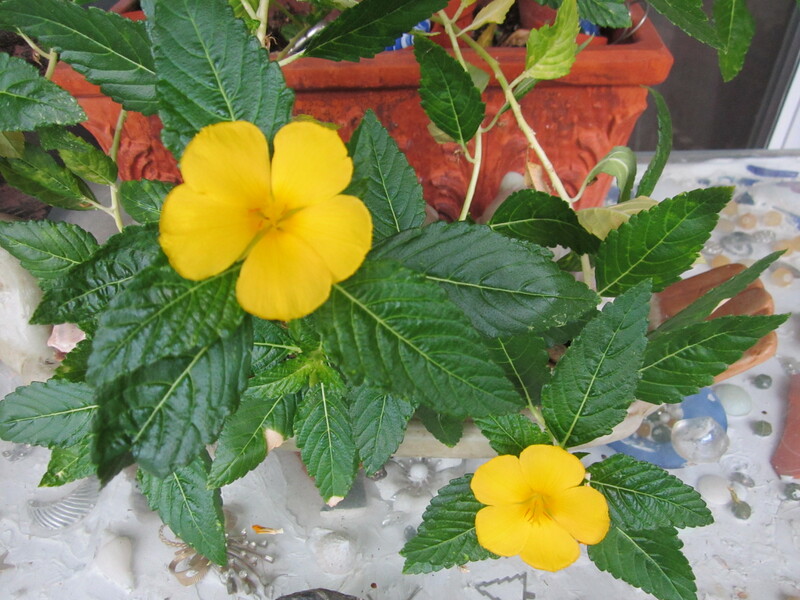 This plant will take from full sun to part sun, low water and requires little to no maintenance. Yellow is the color of happiness, cheerfulness, hope and fun. Yellow is the color of sunshine and it is a bright, warm hue in the landscape. Yellow flowers grow best in full sun but there are a few exceptions that do well in part sun as well. Yellow is a big butterfly attraction and creates contrast in the landscape. 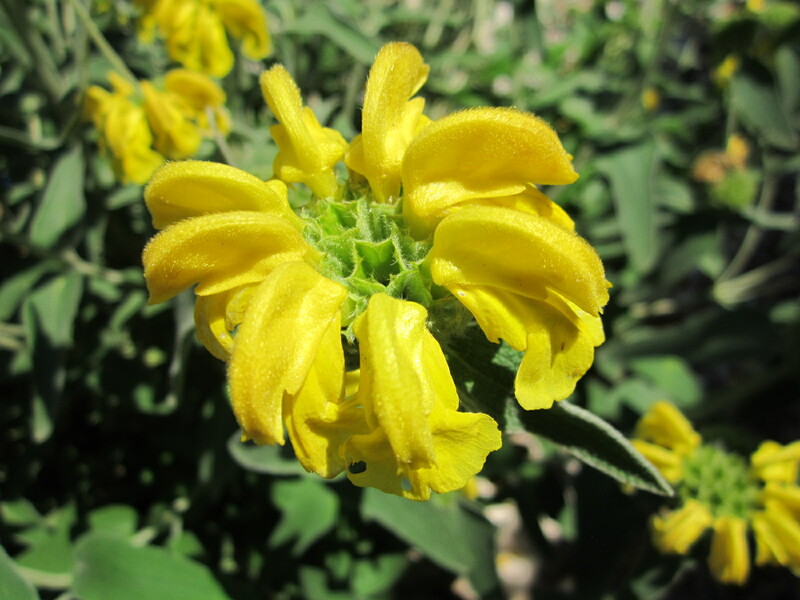 The Jerusalem Sage has a really fabulous flower form and a beautiful true sage colored leave. Jerusalem Sage is a stunner of a plant when it blooms. This evergreen mounding plant reaches from 2.5′ tall to 3′ wide, prefers full sun but will take partial sun. The leaves are a true sage color with sage green front and silver back of the leaves. the flower form is much like a crown with petals in rows around the bud formation. I will say that this plant can be a little fickle in some spots and will not tolerate wet feet. Good drainage will help and it is great as a specimen. This plant is evergreen and requires no maintenance except to cut back spent flower heads. 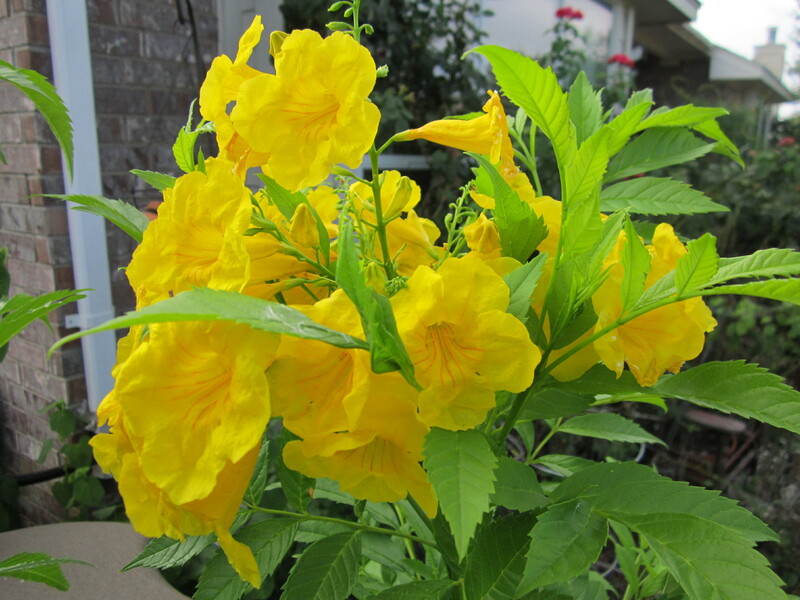 Yellow Bells Esperanza is a spectacular plant in the landscape. It is a big one so make room, it can reach 8′ wide and 10′ tall but is more typical at 6′ x 6′ so allow it its space and you will benefit from all it has to offer. 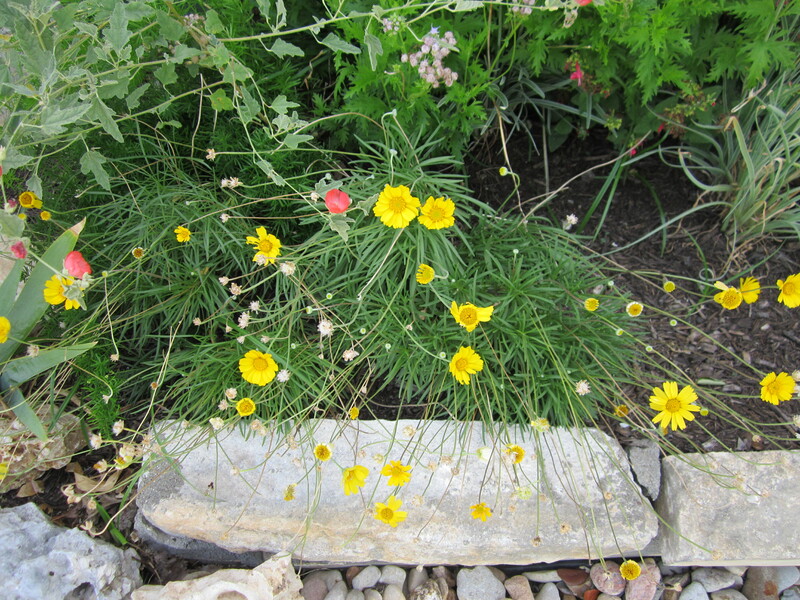 This is a full sun plant that likes its sunlight and is a very drought tolerant and low maintenance. This plant goes dormant after the first hard freeze then returns in early spring. Cut back the dead branches when you see new growth coming in. Turnera Buttercup opens in the morning and closes in the evening. I love this plant though I would probably consider it more of an annual than a perennial but it is worth the time to replant if necessary. If you are in Austin you can find this plant at Barton Springs nursery on Bee Caves Rd. This is an excellent plant for a pot or a feature on the garden. I have also planted this in rows and it is beautiful planted in mass. It will re-seed readily which can be good it you are having a hard time keeping it over the winter. You may also try covering this plant to protect it over the freezing temps. This low mounding daisy is an excellent choice for the front of your bed as its low profile grass like blades and long-stemmed bright yellow daisies are an awesome outline for a garden. The 4 nerve daisy also commonly known as Hymonexis is an evergreen perennial that blooms all summer long. Full to part sun, low water and the only maintenance is to cut off the spent blooms. 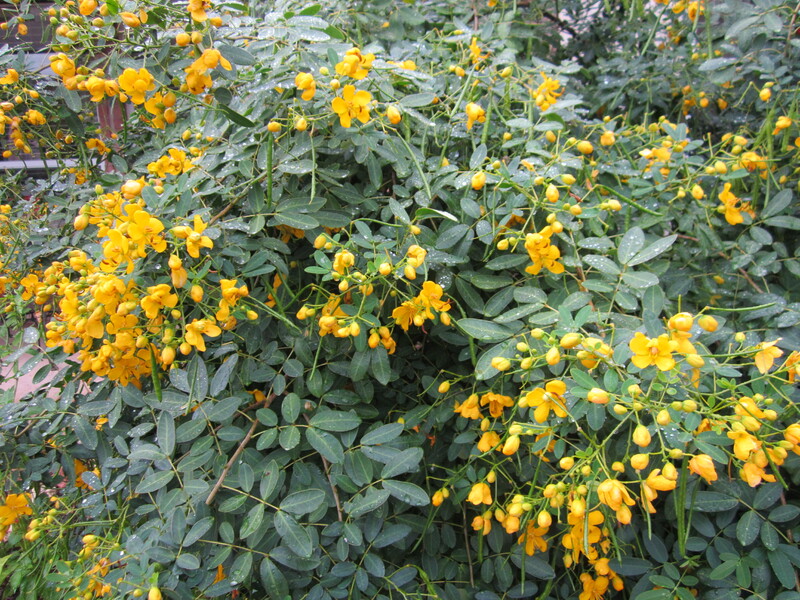 Very cool border or rock garden plant 1.5 t x 1.5 w .
The flowering Senna tree is an excellent specimen for a protected area. It can be a little fickle in a hard freeze so I recommend planting it in a south end of your yard away from the northern exposure. Mine is planted close to my home and has done beautifully over the winters and can reach heights and widths of 10 x 10. This plant is a huge hummingbird attractor. Golden Showers Thryallis is an awesome Austin plant though listed as zones 9-10, this plant does fabulously in zones 8b in a protected area. Use this plant along a southern exposure fence, among a large landscape like mine where there are layers but plenty of sun or as a hedge plant in front or back of your home. 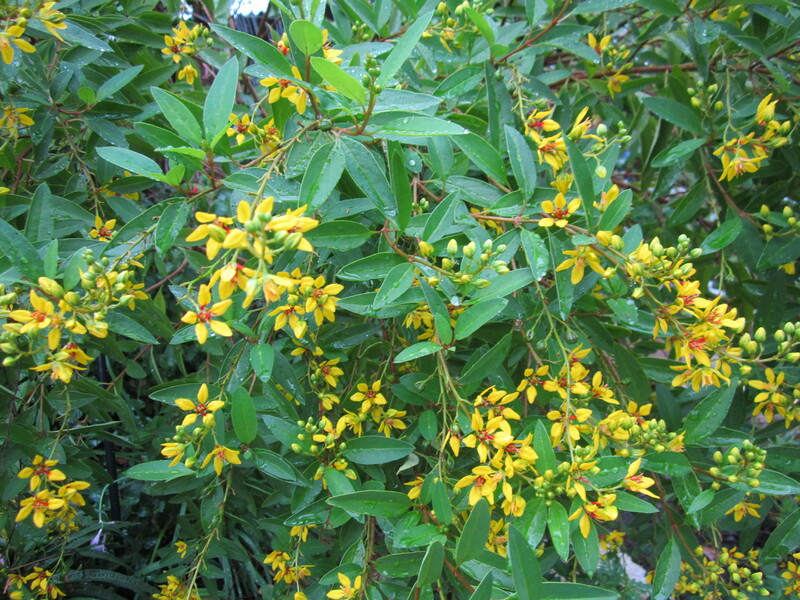 Because of its open airy stature it is a lovely shrub alternative to the “boxier” varieties. Evergreen to semi evergreen, color all summer long and great for sun to part sun areas. Low water and little to no maintenance. In Austin we have a spectacular native landscaping palette and there are so many stunning plants to choose from. Choose them all as I have or use a few statement plants, but however you fit them in they will be an impact in your Central Texas landscape. For more fantastic plant ideas check out my YouTube channel or click here to visit (and like 🙂 my LL&D facebook page where you will find photo albums for sun, shade , trees, shrubs and more.